While the abundant waters throughout our coastal city lend to us being known for our seafood, sushi might not be the first food that comes to mind when the familiar pangs of hunger strike in Virginia Beach. There is, however, no shortage of options when it comes to finding the popular Japanese dish throughout all of our seven districts. Here are some of our favorite places for fresh, creatively crafted sushi in Virginia Beach. Zushi’s Head Chef and Owner, Kevin Chang, has one philosophy when crafting his fresh sushi dishes: keep it looking fancy, and keep it affordable. And that’s exactly what you get at this sushi spot. This is a great place for a nice night out for any occasion, and it won’t break the bank, no matter what you get. We like the Spicy Ocean Sushi Roll, with Scottish salmon sashimi over spicy tuna and crab roll, topped with eel sauce and spicy mayo. 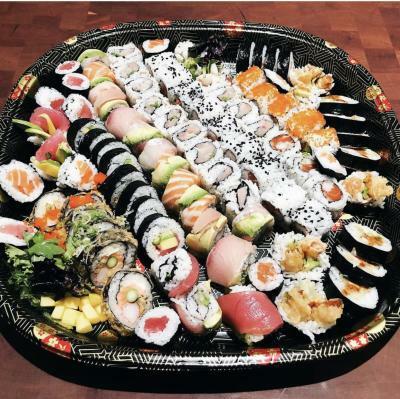 As is the case with many of the best sushi spots in Va Beach, Sakatomo is tucked away within a small, nondescript strip of shops. Sushi and sashimi are available a la carte here and are a great option for something more traditional, include some unique options like escolar, conch, and uni. For specialty rolls, we love the Kamikaze Roll, with fried oyster, dried pork, eel, and spicy tuna. Previously owned by Kevin Chang of Zushi, Nara’s next owners have maintained it’s tradition of excellence and their extremely loyal following. This is one of our favorite spots to frequent around lunch time. With wallet-friendly specials and an abundance of fresh sushi options, it’s hard to go wrong here. Try the Deluxe Bento box, which comes with a half spicy tuna roll, soup, salad, steamed rice, and unbeatable tempura. 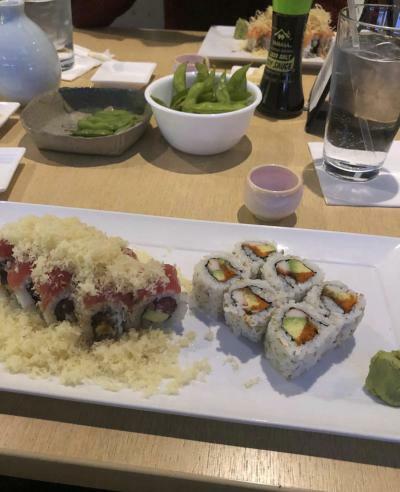 As far as specialty rolls go, order the Oishii Roll, with fresh tuna and salmon, as well as spicy crab, and avocado on brown rice. Located in the Hilltop area near the oceanfront, Mizuno is a staple of fine dining sushi options in Virginia Beach. This sleek, contemporary spot offers a well-curated selection of sake and sake cocktails that pair perfectly with any of their masterfully crafted rolls. Mizuno is run by Japanese-born and Tokyo-trained chef, Wataru Mizuno, who pairs his traditional training with many local ingredients on his menu. Their sushi and sashimi is as fresh as it gets and beautifully crafted, and their special rolls won’t disappoint either. When in season, the Spider Roll, featuring fresh soft shell crab, tempuraed whole, with masago and avocado, is one of our absolute favorites. 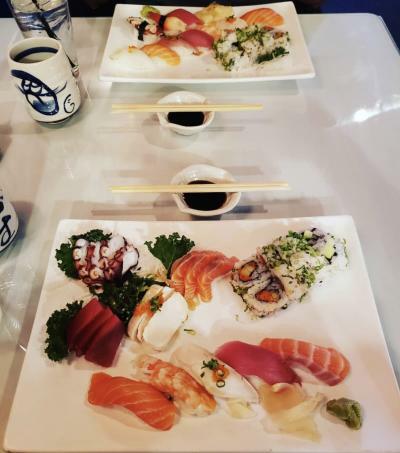 Located in the Chick’s Beach area in the Chesapeake Bay District, Fujiyama is a traditionally decorated spot that just does sushi right. You can’t really go wrong with any of their rolls but, for a little something different, try the Rock ‘N’ Roll, with spicy octopus, tamago, avocado and spicy tuna.